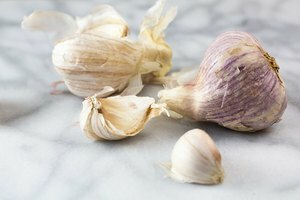 Garlic has been used for 5,000 years in traditional Chinese medicine, and is still hailed today for its antibiotic and blood-pressuring lowering properties. 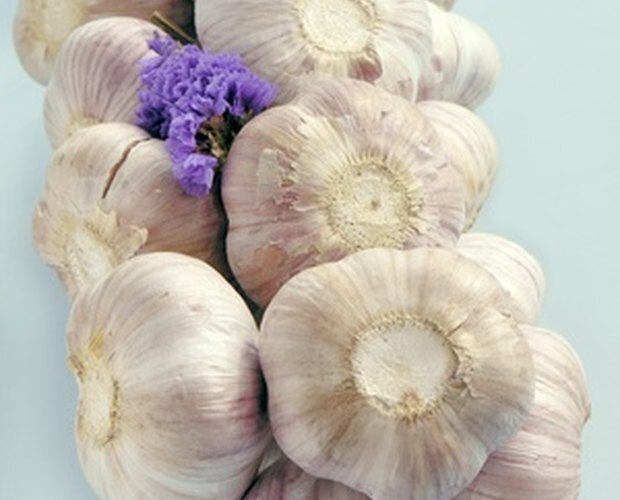 According to an article on the iVillage website, modern medical research has proved garlic's ability to lower cholesterol and blood pressure, and to "reduce the formation of blood clots." 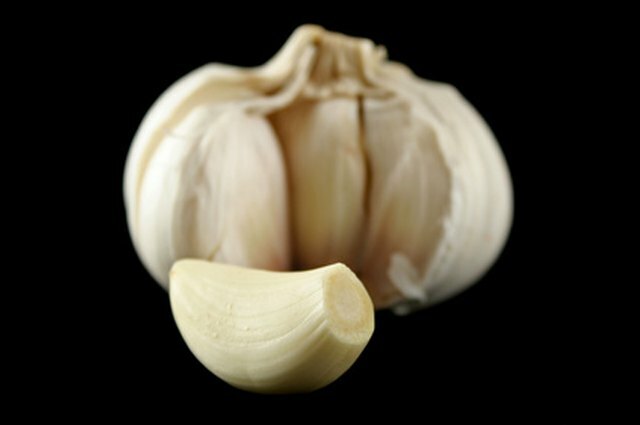 Sauteed with onions and ginger, garlic forms the third element of the "Holy Trinity" of anti-inflammatory, warming food. 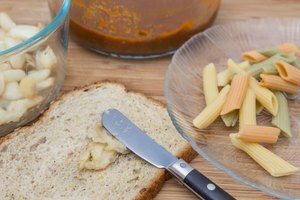 The only sticking point is its pungent smell, which creates belly-rumbling aromas when cooking, but lingers on the breath afterward. The BBC News website claims that a glass of milk can help to remedy the antisocial effects of eating garlic, because the water and fat content of the milk bind to the sulphur compound--called allicin--that gives garlic its odor. Just make sure that you drink full-fat milk, because the higher the fat content, the higher the absorption of the after-odour. 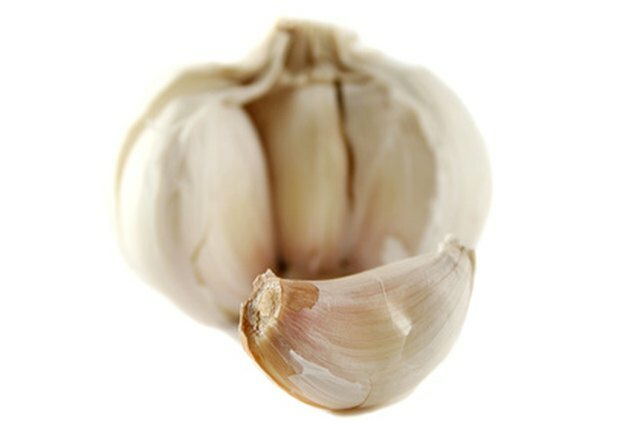 Hold a garlic bulb in one hand and, with the other hand, press out a large clove. Trim off the hard end at the base of the clove with a sharp knife. Peel the skin from the clove of garlic. 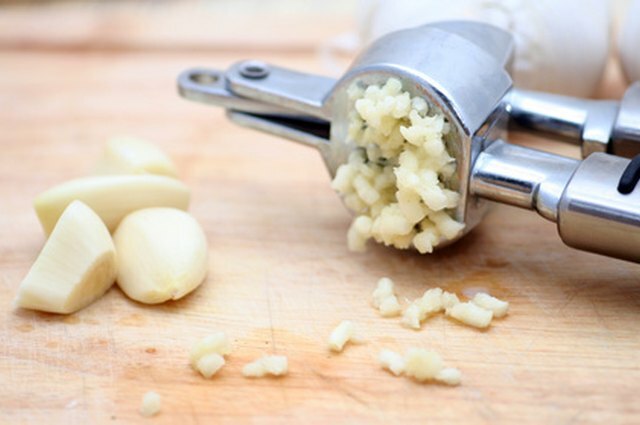 Place the peeled clove into a garlic press. 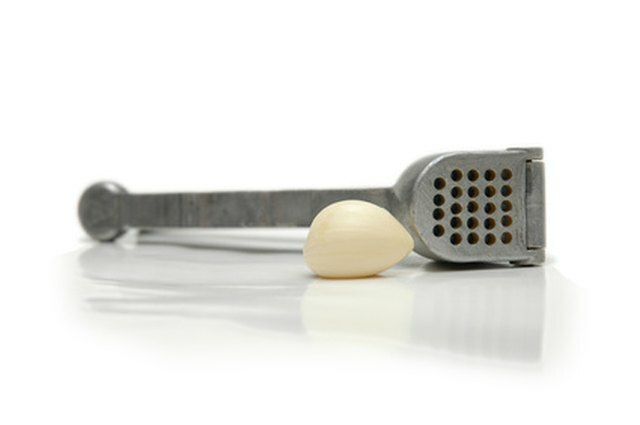 Hold the press over a plate or chopping board and push the two handles together, pressing the clove of garlic through the pierced side of the press. 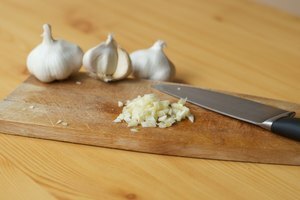 Use the tip of a sharp knife to remove any remaining garlic inside the press, and either add it to your dish or discard it. Place the next bulb into the press, and repeat the above steps.